Each prize is awarded once a year. The Semmelweis Medal recognises lifetime research achievement that has established a new school of thought, and is awarded through nomination. The Jendrassik and Huzella Medals acknowledge outstanding clinical and theoretical biochemical research, respectively. Recipients are chosen through an application process. Founded in 2009, the Semmelweis Budapest Award serves to recognise the achievements of an international researcher working in the field of medical biology, whose research activities have produced internationally acknowledged results, contributed to the benefit of humanity, and opened up new ways of understanding living natural science. 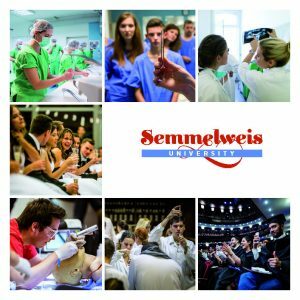 Through the Hugonnai Vilma Medal, established in 2010, Semmelweis University recognises the achievements of young female physician-researchers in the interest of encouraging the development of the next generation of female scientists. The University also nominates its most distinguished researchers for high state honours, many of whom have received state recognition over the past years (e.g. Széchenyi Prize, Szent-Györgyi Albert Prize, Apáczai Csere János Prize, Middle Cross of the Hungarian Order of Merit, Officer’s Cross of the Hungarian Order of Merit).